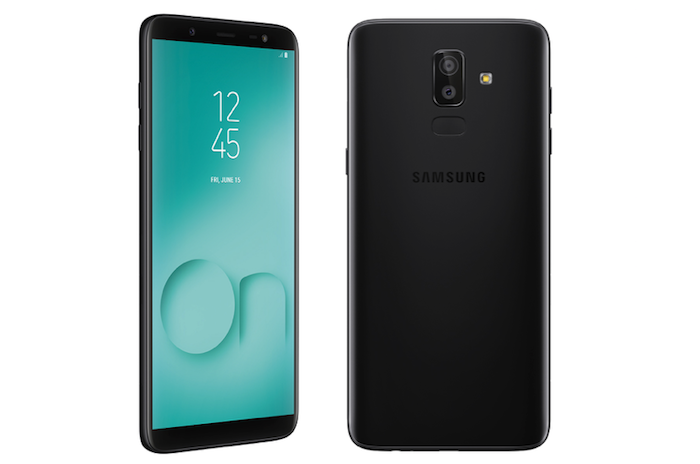 4GB RAM, 64GB internal storage, On Camera, Galaxy On8 comes with a 16-megapixel rear camera with LED flash along with a secondary 5-megapixel rear camera to capture the depth information for portrait shots with bokeh. It also has a 16-megapixel front camera. Galaxy On8 comes with three new powerful dual camera features – Background Blur Shape, Portrait Dolly, and Portrait Backdrop. With Background Blur Shape, you can make the pictures talk by adding soft light effect in different contextual shapes. The Portrait Dolly feature delivers a moving GIF image with zoom movements in the background for a cinematic photography experience. The portrait backdrop mode gives a professional touch to photography by creating cool and funky backgrounds effects. Galaxy On8 also comes pre-loaded with Samsung Mall, a revolutionary new service for millennials. This ‘Make for India’ feature uses Artificial Intelligence to let users shop by clicking a picture of the desired product and automatically getting results for the item across popular e-commerce platforms. Samsung Galaxy On8 comes in Blue and Black color priced at Rs 16,990 and will be available from August 6, 2,018 onwards exclusively on Flipkart and Samsung Online Shop. Galaxy J8 is available for Rs 18,990. Samsung peddling SD450 phones at extremely unattractive prices, and constantly losing the mid market.